This food is simple to make, tasty to eat, and packed with trillions of good bacteria—a must for anyone who is serious about repairing their gut. 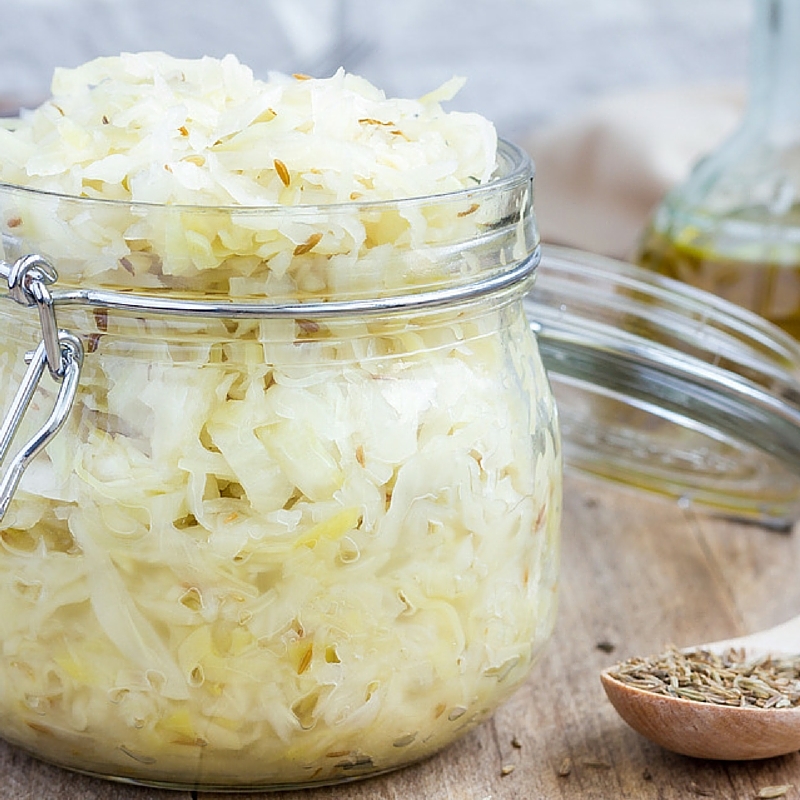 Sauerkraut is a fermented cabbage that has been popular throughout central Europe for hundreds of years. It combines one of the healthiest foods there is—cabbage—with one of the most beneficial and time-honored food preparation methods ever used: fermentation. I kid you not: a daily dose of this cabbage treat will repair your gut quickly and many times better than the strongest probiotic. But before you rush out and grab a jar of Bubbie’s sauerkraut, make sure your sauerkraut is unpasteurized. Just like milk, when you pasteurize sauerkraut, you kill all the good bacteria. 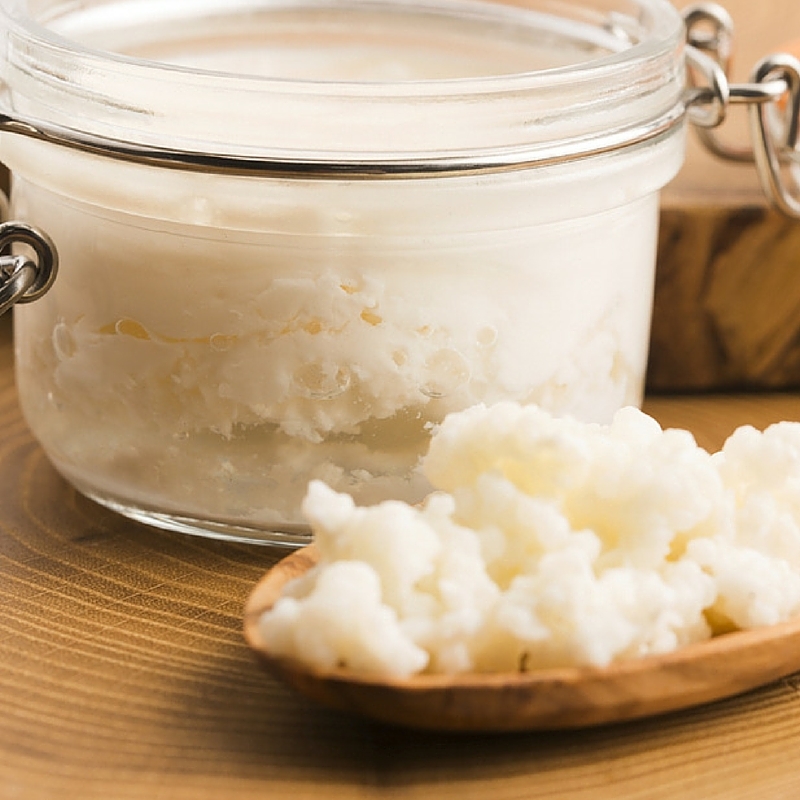 Kefir is fermented milk (cow, goat, or sheep milk). It tastes sour like yogurt but goes down more like milk. I like to put it in my smoothies, as it’s high in B12, calcium, magnesium, vitamin K2, biotin, folate, enzymes, and of course, probiotics. It’s packed with probiotics—not as many as kefir or sauerkraut, but it’s still a great way to get a healthy dose of good diverse bacteria. And although kombucha starts off with yeast and sugar, the finished drink actually contains no yeast and very little sugar. In fact, one of its claims to fame is killing candida. This “health elixir” has been around for more than two thousand years and has a rich anecdotal history of health benefits, like preventing and fighting cancer and combating arthritis and other degenerative diseases. 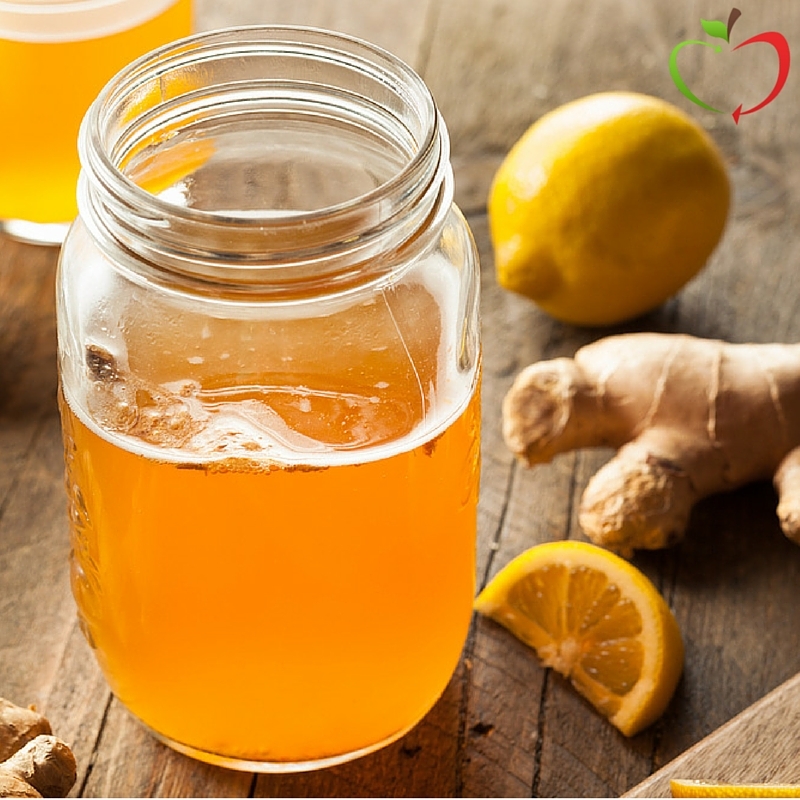 Easy to make at home, easy to find in your local supermarket, high in good probiotics, and low in sugar makes this drink a perfect complement to your 45-Day Reset. What you need to look for when buying kombucha is the sugar content, as some kombuchas are higher in sugar than others. Keep your amount of sugar down, under 5 grams per bottle. Many of you have sat down with me and had nutritional consultations. I often test the diversity of a person’s gut bacteria to see if they have had too much bad bacteria or yeast. When I discover that the microbiome is the source of a patient’s symptoms, I will immediately put them on a high fermented foods diet. Food can heal. Especially when you know which ones your body needs. Try getting a healthy does of sauerkraut daily or reach for a kombucha in the afternoon instead of your coffee. The other great thing about fermented foods is you can make it yourself. When the RF Kitchen cookbook is released in September, there will be several fermented foods recipes included. If you want to get started with a good sauerkraut recipe now, below is one of my favorite recipes that Bonnie, our RF Chef, has included in the new book. Cheers to a healthy microbiome!